This semester, the Avery Research Center has greatly benefited from the services of three interns. In today’s post, TJ Fielder, a senior and political science major at the College of Charleston, shares some of what he learned as he worked with the Esau Jenkins papers. History is all around us. As a student at the College of Charleston, I never took the time to recognize the vast history that surrounds me. It was not until my senior year at the college that I was granted the opportunity to intern at one of the nation’s most fascinating research centers and archival museums. The Avery Research Center located in downtown Charleston, South Carolina is the home to many primary artifacts, documents, and oral recordings. With a huge focus on the Civil Rights Movement, I often found myself reading articles and personal letters and looking through photos that captured many of the civil rights leaders in that era. 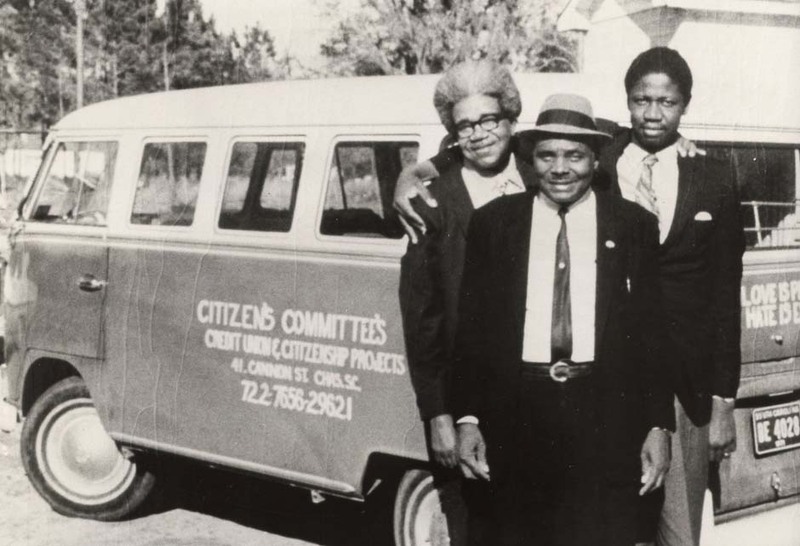 Through the internship and the time I spent at the center, I was able to research the life and contributions of a prominent community leader in the Charleston County Area. Esau Jenkins broke barriers and paved the way for many in his community to abandon poverty and achieve equality through education. Esau Jenkins was born in 1910 on Johns Island, South Carolina. While in the 4th grade, attending Legareville Elementary School, he lost his mother at the age of 9 and had to quit school to bring in money for his family. He worked in Charleston on a boat, and in 1926, at the age of 16, Esau Jenkins married Janie Elizabeth Jones. Through this marriage the two had 13 children. It was the people in his community that motivated him to advocate for change. Experiencing the poverty and underprivileged people, he took it upon himself to make things better. In 1948, Esau Jenkins established the Progressive Club in efforts to combat the state of the people living on John’s Island and the surrounding areas. He knew the importance of citizenship, registration, and voting. The lack of education within his community was a condition that Jenkins refused to accept for his people. He sought to teach the people on John’s Island the importance of political education and the value in working together. He theorized that by being politically educated things can change; his first task was to get the people registered. In order to get respect and have a voice, one must be a registered citizen. Through the Citizens’ Committee, he held classes in his bus that focused on the United States Constitution; in order to be a registered citizen, one must read the Constitution in its entirety. Jenkins would read to the people and collectively they would comprehend the meaning of the document. I’m sure most of you have heard of Ms. Clark, who is an alumna of the Avery Normal Institute, in the context of the Southern Christian Leadership Conference (SCLC) and her alliance with Dr. Martin Luther King, Jr. 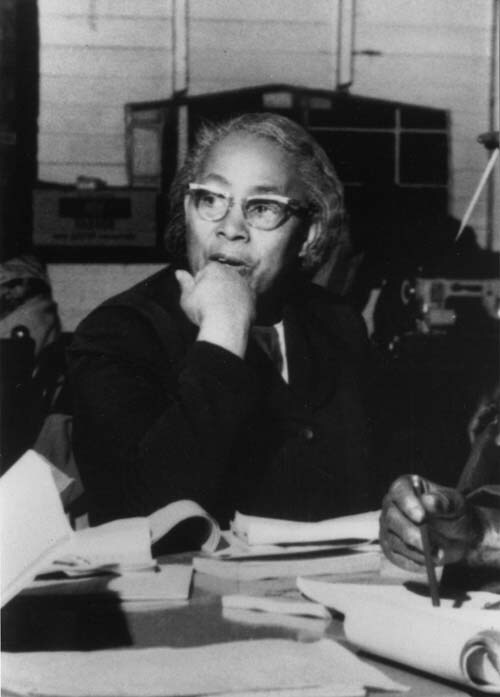 Some of you may also know that she actually got banned from teaching in Charleston in 1956 because she was a member of the NAACP — two years after the Supreme Court ruled Brown vs. the Board of Education unconstitutional! But what really caught my attention in this oral history was Ms. Clark recounting her first teaching experience on John’s Island. Back in 1916, it actually took a nine-hour boat ride through the creeks, depending on the tide, to get to the island from Charleston since there were no bridges. Can you imagine?